The USSR was not only a vast closed territory with extensive geographical boundaries that stretched from Europe through Asia but is also a huge well of memory or dis-memory - a utopian vision that became a dystopian nightmare lasting nearly a century. The story of Communism is the story of the 20th century. For many, the Soviet Union existed, like their childhood, as a fairy tale where many of the realities of life were hidden from plain view. When the Berlin Wall finally fell so too did the illusion of that utopia. But time changes memory. The ex-Soviets confused the memory of their innocent youth for their nation's utopian vision, unable to confront its history and thus creating nostalgia for tragedy. This book tries to seek and portray the socialist dream, the nightmare of the USSR beneath the veneer and the reality that emerged after the fall. And like all fairy tales try to teach us: the hard lessons of self-reliance. Guggenheim Fellowship, Fulbright Scholarship, Dorothea Lange Prize, Alicia Patterson Foundation Grant. This is his first published book. 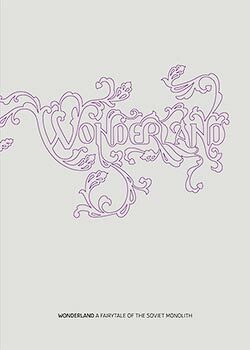 WONDERLAND stocks are dwindling FAST! with bonus book, The Americans List, for free! In NY State add 8.875% sales tax. Books are available in New York at Strand Bookstore, The Leica Gallery, and Dashwood Books.